I was about ready to scream. I’d begun to work through a Ken Wilber shadow integration exercise when I could feel my frustration and anger reaching the shouting stage. It was bizarre because I rarely get to this point. Then it came to me: it wasn’t Wilber’s exercise itself that had angered me. It was my ego-mind’s panic about what I was undertaking. The ego does not want me to get into the shadow elements of my unconscious mind—you know, those parts you’ve hidden from yourself. My ego likes things just as they are. Even if the shadow is causing suffering in my life, my ego does all it can to keep me from shining a light on what it has kept in the dark. I see the ego as a barrier between my conscious mind and my unconscious mind. It’s like the floor between my living space and my basement. My ego tells me that there is nothing I need from the basement so why go down there. Over the years, I have come to respect how my ego tries to protect me and how it is key to my survival in the world. But if I am going to thrive rather than just survive, I feel compelled to integrate all parts of myself. This means facing the unsavory shadow parts of myself that I have locked away in the basement of my unconscious mind. I was still torn though. While my ego violently objected, Wilber’s words implored me on. I was at a painful choice point. Will I be a man or will I be a mouse? “Crap! I’ve got this shadow stuff bad,” I said to myself. Then I suddenly felt compelled to act. With Wilber’s 3-2-1 Shadow Process in hand and the cry “I’m going in!” echoing in the room, I descended the “stairs” to face my shadow…And I am so glad I did. Below is Wilber’s process as I have adapted it from his book Integral Life Practice. I followed the process on my own and then took it to the men’s group I belong to where we took turns applying it. Imagine the difficult person sitting in a chair opposite you. Observe that person very closely, and describe the person using 3rd person pronouns like “he,” “him,” “she,” “her.” This is your opportunity to explore what it is that bothers you about that person. Don’t hold back—be raw and real as you state out loud your criticisms of this person. Take the time to describe them fully and in as much detail as possible. Enter into a simulated dialogue referring to this person as “you” and “your.” Talk directly to him or her. Bring a sense of curiosity to your questions. You may start by asking questions like “Why do you treat people the way you do? Why are you so defensive? Why are you so hostile? What happened to you?” Answer each question you asked by playing the role of that person. Imagine what the person would say and say that out loud. Allow yourself to be surprised by what emerges in the conversation. Now, using the pronouns “I,” “me,” and “mine,” become the person that is sitting in front of you. See the world, including yourself, entirely from his or her perspective, allowing yourself to discover not only your similarities but how you really are one and the same. Finally, make a statement of identification: “I am___________” or “___________ is me.” Take time to sit with that statement. The statement will feel “wrong” because it is what you have been busy denying. However, be willing to try it on for size since it contains at least a kernel of truth. Find three examples of how that statement is true in your life. The last step of integrating your shadow is to fully re-own it. Don’t just see the world from the perspective of your shadow for a brief moment; deeply feel the reality of this new awareness for however long it takes to resonate clearly as your own. Then engage it and integrate it until it becomes you. Those words rang true for me. I can say with confidence that this is a powerful process. I really did feel a sense of peace and wholeness when I was finished with it. Those in my men’s group found it very effective, too. If you’d like to engage this life-altering process, go to my Facebook page where I have posted an example session that also includes my recommendations for the process. 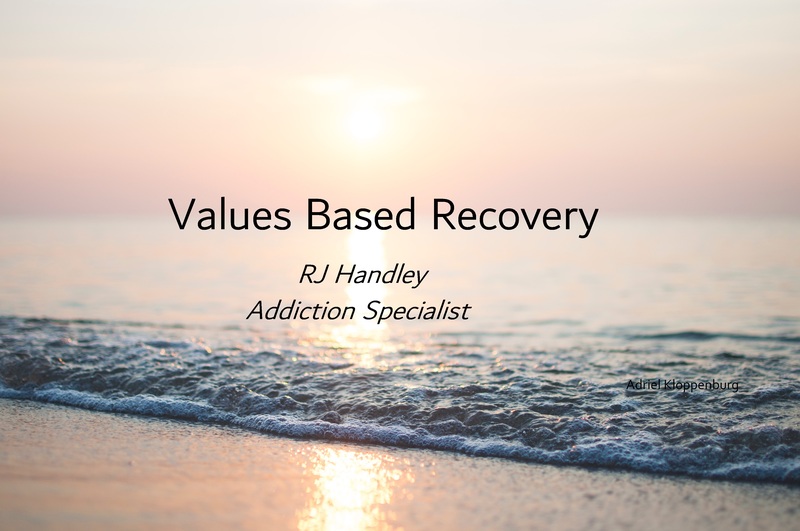 Go to https://www.facebook.com/RJHandleyLifeCoaching. I would love to hear your feedback about the Shadow Process, if you have a moment, so I can make it better!